D & B supplies fasteners for all standard and specialty applications. Some of the standard applications are such as furniture making, home improvement, office buildings, commercial buildings such as malls, stores and offices. 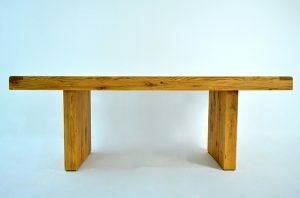 For DIY furniture kit sellers the problem is to have a large number of standard furniture as a ready to build completely knocked down kit (CKD for short), with a set of accessories and tools available to be supplied along with the wooden parts. These accessories should necessarily include fasteners, such as wood screws, washers & gaskets. Now with D & B’s smart inventory management system, there is no need for a furniture maker to stock these. Simply subscribe to the D & B Smart Inventory program to be assured that each of the furniture kits will come with a D & B fastener kit. While standard applications are well known, the specialty use cases are not that well known and hence worth a look at. If you have any similar applications, contact us to get a custom solution. For a pallet maker, fasteners are a small but important component of the total stock of inventory (wood is of course the major one). D & B can stock just in time inventory like for the Use Case 1 above. 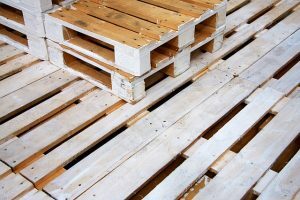 However unlike Furniture makers, a large part of pallets are recyclable. They are sent back to the pallet manufacturer for refurbishment, or to cannibalize for parts. In recycling these pallets, the fasteners such as wood screws cannot be reused. D & B can include the supply of new wood screws as part of the Just in time inventory. D & B can also recycle the used machine screws. Captive Coal fired Power plants are found in a lot of large chemical manufacturing complexes. Typically they are combined cycle power plants, which means that they generate electricity as well as steam. These installations, use a lot of heat exchangers of various capacities. Some of these heat exchangers are large, extremely critical and difficult to replace immediately in case of trouble. (Smaller heat exchangers can be replaced fairly quickly, within a day or two). The heat exchanger tubes are generally welded to the shell at two points. 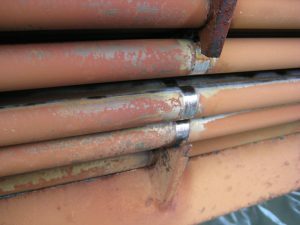 However corrosion can lead to breakage of the tubes. In one of our customer’s plants, these incidents occurred twice. A Hazard and Operability Study (HAZOP) that was carried out recommended an independent way to affix the tubes. D & B successfully supplied our special Titanium coated machine screw fasteners for this application. Highly corrosive environments where metal components can degrade very quickly demand the use of specialty coated materials like glass lined, rubber lined and polyurethane lined vessels. This implies that the fasteners used in various components and accessories of these vessels have to be also corrosion resistant. In these cases our special purpose PTFE coated fasteners can be used. This material is soft enough not to break the glass coating, as well as highly corrosion resistant. Contact us for more details of this product range. These are available in multiple colors, to match the vessel or equipment colors.